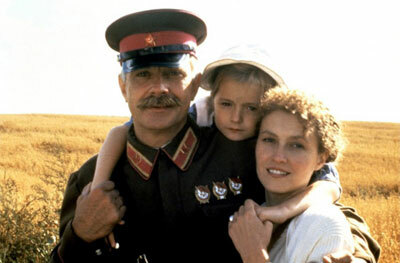 In the Soviet Union of 1936 revolutionary hero, Colonel Kotov, is spending an idyllic summer in his dacha with his wife and their 6 year old daughter. They are surprised by the arrival of the charming Mitia, who exploits his status as an old family friend to carry out a dark mission. Kotov's confidence in himself and his country are at first unshakable; he is unable to comprehend that his peaceful family idyll is about to be destroyed by the brutality of the Stalinist regime.